Search, book and pay for unique and inspiring meeting rooms in London. Located on a self-contained Conference Floor, Bridewell Suite is the largest of the meeting Spaces at Crowne Plaza - London at over 185sqm. Hire one of the meeting rooms at Us&Co Monument for one of the most stylish, state-of-the-art meeting rooms in central London. Meet in Place has an ideal private meeting Space to hire in London. If you are looking for a stylish London Bridge meeting room, visit The Coal Shed London. Hire Boardroom 2 at One Alfred Place in the heart of central London. This meeting room at this venue has everything you need for a business event. Book Meeting Room 4 at The Office Group by Liverpool Street Station for your next London meeting room hire. Welcome to Barber-Surgeon’s Hall, a beautifully laid out red-brick mansion situated in a tranquil residential square just off London Wall. Tired of the same old boring meeting rooms? Book the Lido Room at Work.Life London Fields for your next London meeting room hire out of the office. Private Room 3 at The May Fair Hotel is the best option for meeting room or workshop venue hire in London. We’re all about uncovering unique, creative and inspiring Spaces. We know that where you work can impact how productive, innovative and original you are. So, why not shake things up and take your meeting out of the office? 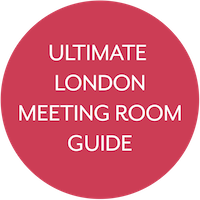 We’ve gathered hundreds of extraordinary London meeting rooms to get you inspired. Whether you’re hosting a training session, conference call or just want a change of scene, we’ve got a venue for you. From classic boardrooms to quirky meeting rooms we’ve got Spaces with the highest quality AV services, excellent catering and outstanding Hosts. Gone are the days of soulless meeting rooms! Exciting surroundings are a catalyst for brilliant results. Host your next meeting on a boat on the Thames, at a gallery in Soho or in a penthouse suite with panoramic views of the City and wave goodbye to boring meetings. With HeadBox, you can search, book and pay for your London meeting room all in one place.